This comes to you as my first newsletter as House Mother of Saumarez. I would first like to say a big thank you to the girls who have given me a very warm welcome. My time in White House will be be very fondly remembered and I look forward to catching up with my girls again as House Mother to them in Saumarez in years to come. Term 4 is a very significant and exciting time for both Year 11 & 12. 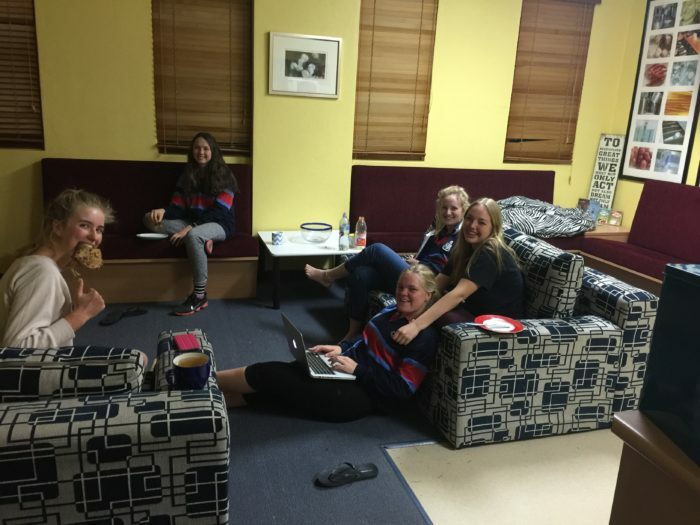 The majority of Year 12 have returned to prepare for their HSC and spend some time with their friends in boarding for the last time as they soon move on to what I am sure will be great things. Although only two days in the girls have returned with a positive attitude to study and are managing their time well. This is also a time where girls feel a large amount of pressure and anxiety about what lies ahead and our aim in Saumarez is to support our girls through the final part of their educational experience at NEGS as well as adding to the many great memories they will reminisce about at future Old Girl Reunions. Year 11 have headed off to their leadership camp and we hope to have some happy snaps for the next newsletter. The girls are also looking forward to beginning their final Year at NEGS and are excited about the well earned privileges that come with entering Year 12. To finally be the student leaders of the school is a moment to feel proud of as well as both humbled and appreciative. Year 12 comes with a responsibility to lead by positive example and contribute to the camaraderie of the whole school. The personal rewards of this experience will be with them well into the future. 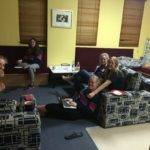 Included are a couple of pics of the some of the Year 12 girls sharing time together after dinner. I am sure you will all join NEGS, and the family and friends of our Year 12, 2016 wishing them all the very best in the last part of their journey at NEGS as a student.